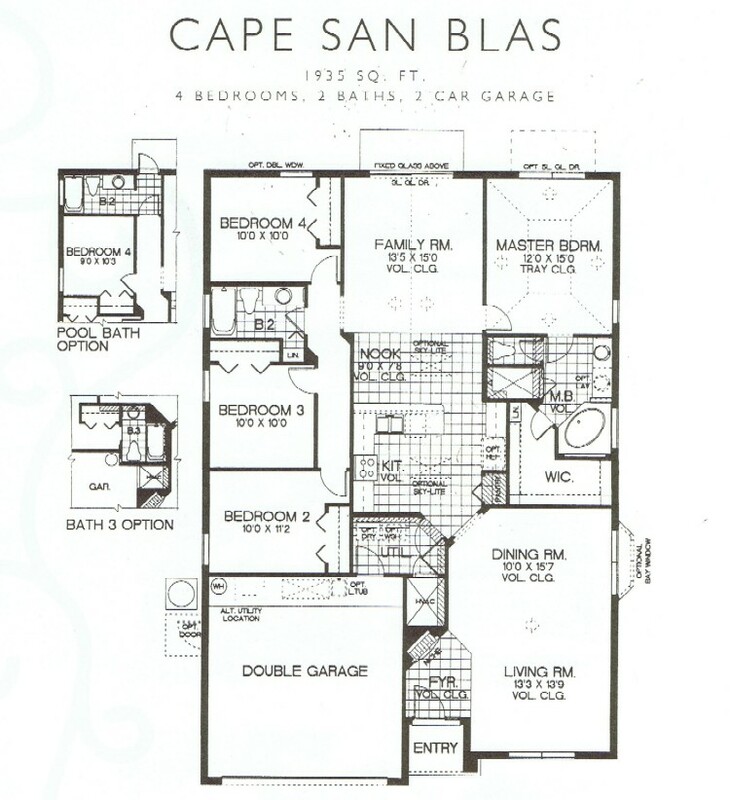 A four bedroom home on one floor, the Cape San Blas is great for those families that don't want to deal with stairs. There is one Master Suite with private en-suite bathroom along with 3 other bedrooms and the family bathroom. This model had the option of having the family bathroom accessible from the pool area as well as another option for having an en-suite in a second bedroom.